Hiii everyone! I am so excited to finally share this filing cabinet of mine. You may remember a few weeks ago I had posted about my sadness that it wasn’t quite done before my vacation. I hit a little road bump and had to leave it, but it was the first thing I tackled when I got back and I am absolutely in love with how this turned out! Here’s the details on how I fixed mine up. I’m sure many of you have one of these typical, kinda ugly filing cabinets (see below before photo) at your house. Filing cabinets are one of those necessities of adult life, right? I couldn’t handle all that ugly in my office though since I’ve worked so hard to make the rest of the place cute, so something had to be done. The before and after. 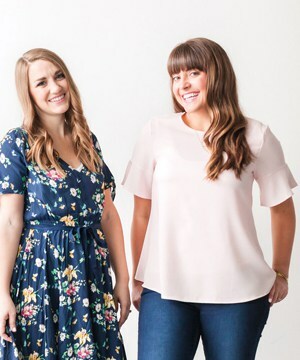 Here’s what I did: First – I knew I wanted something to go on top. 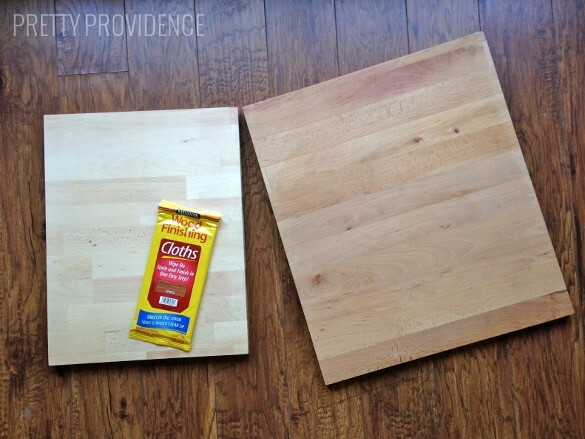 I had this IKEA chopping board that I love and use for all kinds of things, and I looked at it and thought, maybe I could get another one of these (they’re only $10) and cut it down to the right size, then stain it? So that’s what I did. Except I didn’t cut it, I measured the top of my filing cabinet, took the board to Home Depot, and they cut it for me, freebies! So that was easy. I broke into my supply stash and decided to try out these Minwax stain cloths that I got at SNAP! conference back in April. You guys, these are life changing! I have stained a few different things in my day and it’s always somewhat of a chore. The thing I hate most about it is ruining all kinds of rags to do it. With these you don’t have to! 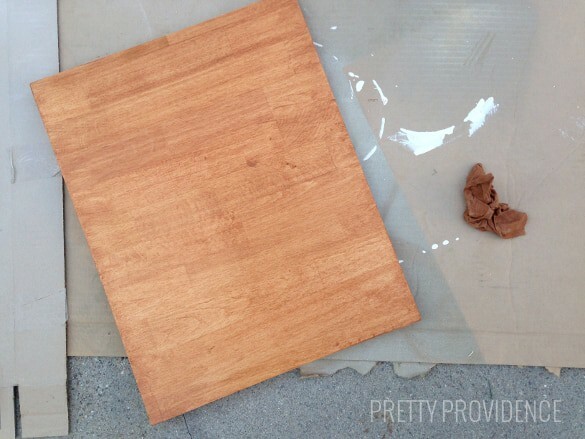 What you see below is the entire “mess” I made staining the board. Can you believe it? I am looking to use these for all my staining projects for the rest of forever. 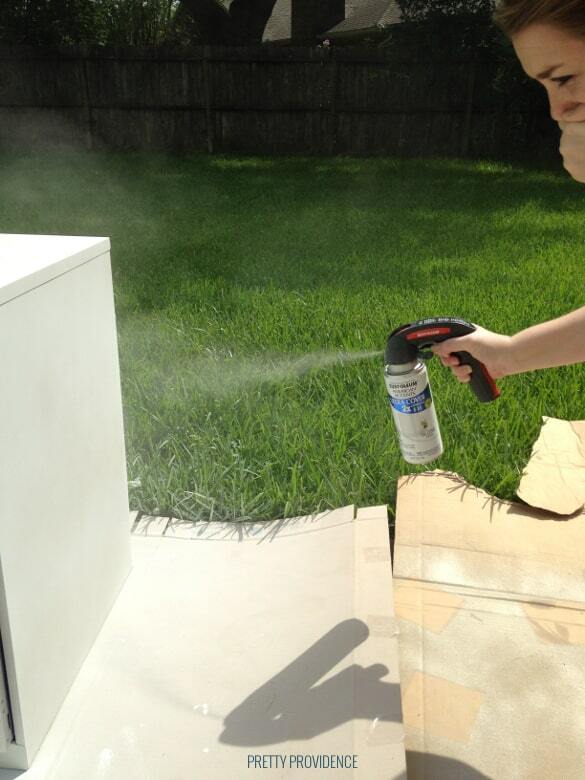 I also spray painted the filing cabinet white, and I mentioned already how much I love that nozzle. The bump I hit was right here though. For some reason the paint I used didn’t go on smoothly – so I ended up sanding a bit and painting the cabinet again with regular, flat wall paint. 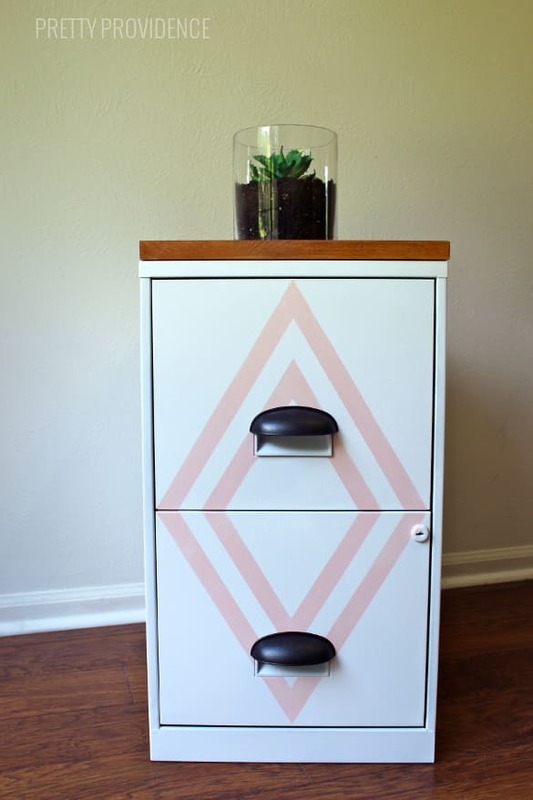 After the white paint was on, I almost took pictures and called this project done, but my husband mentioned that it still looked very much like a boring filing cabinet… and I decided he was right. It needed some flavor. 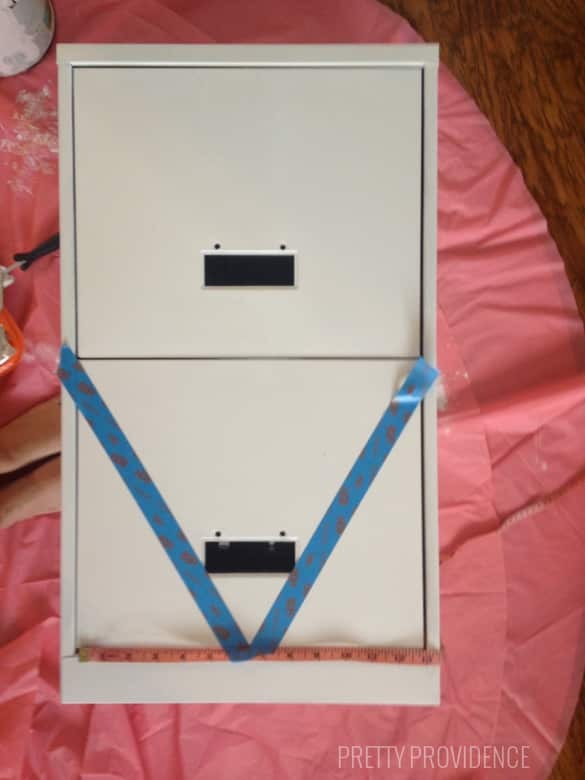 I grabbed the painter’s tape and my trusty measuring tape and very carefully taped some v’s onto the drawers. It is so important to take your time when you’re doing something like this! I painted the exposed parts with pink paint and a paint brush, pulled off the tape and was/am in love. I also got some bronze pulls from Lowes and my husband helped me drill some quick holes right above the handles so the boring pulls were mostly covered. Ta da! I went with the pink v’s because it matches my card catalog cabinet and also – I like pink? Some people were really outraged at my decision to make that thing pink, but I’m still repping for it. Pink is pretty, guys! Don’t they look cute together? Who else is about to go paint wild on their filing cabinet!? « Easy Chinese Chicken Salad! How did you remove the handles on the cabinet? Or did you just carefully paint around them? The handles that come on the cabinet were really easy to remove, they just pop off! Flat paint? Did it stay nice in the long run? Yes it has stayed really nice! No chips to speak of! I love this!! I’m so doing this!!! Can’t wait to do this! Sarah, where did you get the card catalog? My husband has been begging me to get one. How did you get the v’s to be pink? Stupid question, I’m sure of it but I’m new to the world of remodeling furniture and stuff haha. After I taped the v-shape I painted the still exposed part with regular wall paint and paintbrush! Oops – I can’t believe I didn’t write that step. i guess I was just too excited writing this tutorial! I’m redoing one of these. I love the wood top. How did you attach it? Just screws? I just bought the primer and base coat today for mine. I’m moving next weekend and that ugly thing is not going into my apartment as is. I’m still looking for right accent color and design for it, so it might not get finished for a while. I actually didn’t fully attach the wood to the top, it’s just sitting on there! I was planning on doing it with some wood to metal glue (like Elmers Probond) so if you want to that’s what I’d use. I decided I’d like to have the option of taking the wood off if I ever feel inclined, and it has stayed put pretty well on its own! I started priming and painting mine yesterday. It was buried in my closet for so long, I forgot how bad it was. It has a huge rust spot on the top of it, that even after primer and paint, it still shows through. I’ll try the wood glue since I found a brand new bottle in packing. Currently the color is Valspar Antique white. I’m sure I’ll be adding some Lavender or Pink to it as well. Thank you for the great idea! Haha good luck! Sometimes the hubby’s have had enough projects! Or maybe it’s just mine?! Lol! Oh, mine too ;) But I’m sure it’s just a tough exterior and deep down inside he loves all the modge podge and glitter that happens in our home. I’m sure. Love it! 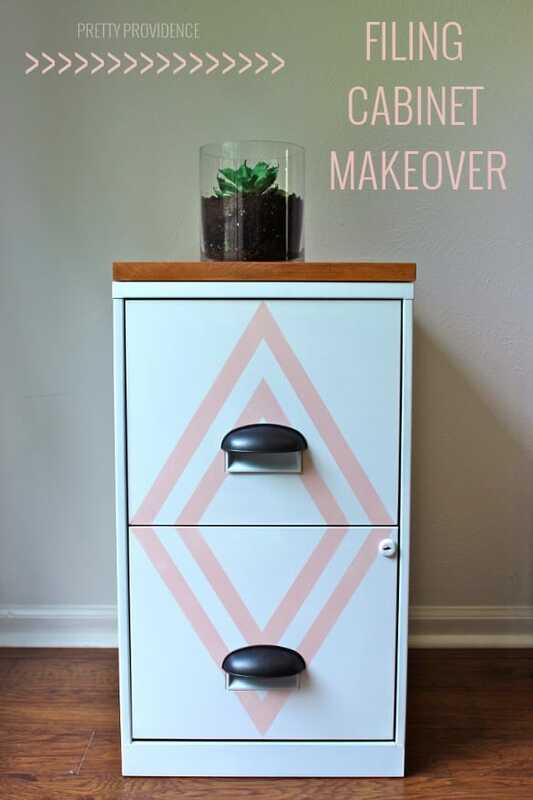 I did a filing cabinet makeover last year and it still makes me smile every time I look at it! Thanks! Ah, yay. I know, I still can’t keep staring. It’s so much better than before! This. is. AWESOME. Seriously. I wish I had only one little tiny bit of your skill! Thanks Whit! I think you have it in you… you just haven’t brought it out yet! :) Let’s do something like this for your house! So cute! 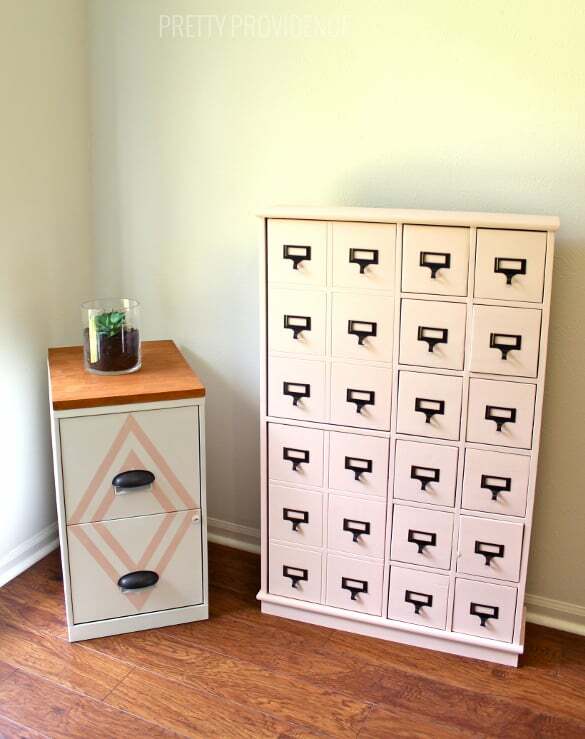 They look perfect together and I totally dig the pink card catalog! :) I am most certainly going to get me some of those fancy stain wipes too. Who would have thought? Thank you! YES – get them. You’ll never look back. They are amazing! They really do look so good together! I love, love, love how this turned out! Oh this is really cute! I have a boring black filing cabinet that I would love to make over! I’m actually about to build the desk that you made and this would be a great addition!